Set a few days into the future in England, a plague with no known cure is infecting just about everybody. A handful of people manage to get their hands on a jumbo jet and take off for a possible safe haven. However at least one of the passengers is infected, leading to paranoia and revolt among passengers and crew alike...will any of them survive, or will nature take its twisted course? The Carrier is an incredibly bleak vision of human nature at its most selfish and worst. Its not a film which offers much in the way of hope. It has a nihilistic streak a mile wide. The Carrier starts with some pretty mean scene-setting. We watch as a mother and her young son head off in their car, destination unknown. On the radio, a newscaster gives us the lowdown on the catastrophe that has befallen England - infected, cut off from the rest of the world. The car drives past towns that have been set ablaze, never stopping until it reaches a checkpoint and we get a real taste of the grim reality of this disease. There is no cure. On the plane, things aren't particularly harmonious. One of the passengers has managed to sneak his infected wife on board and she is swiftly dealt with by Eric (Joe Dixon). This is a particularly savage scene as there are no guns on board (except in the cockpit), so executions are brutal and drawn out. The passengers and crew are stuck with a huge dilemma. They have infected corpses on board. They will need to land and refuel the plane at some point but nowhere is safe. And someone is trying to sabotage the plane and force it down. While the story-line is pretty bleak, it is at least compelling to watch. There are a handful of characters, especially two of the main protagonists, Craig and Kate, who you will want to see survive this tale of woe. One of the film's more interesting aspects is the way it finds different shades to its antagonists. While some characters act out of purely selfish reasons, you can still feel a little sympathy for them. The one person who is singled out as an out and out villain is acting in the interests of "the greater good" rather than his own self interests, whereas the person who holds a position usually portrayed as the hero allows his cowardice to destroy other peoples' chance of survival. 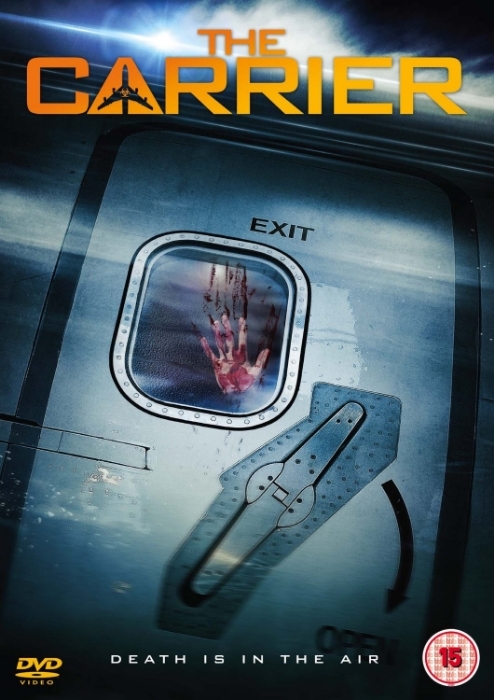 The Carrier compares favourably with other Bleak Apocalypse films, such as DEFCON 4, The Road and Carriers, and the tv series The Last Ship. It portrays all of its characters as human, with both good and bad qualities all, and gives the audience the chance to consider how they would react in the same circumstances.